Ada Lovelace Day is an international celebration day for the achievements of women in science, technology, engineering and maths (STEM). It aims to increase the profile of women in these areas, and, in doing so, create new role models who will encourage more girls into STEM careers and support women already working in STEM. Every year, people around the world organize their own events for Ada Lovelace Day. 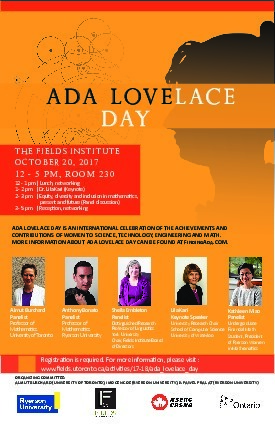 The Fields Institute for Research in Mathematical Sciences is excited to join this important celebration and, together with Ryerson University, organize our own Ada Lovelace Day in Toronto. We will have a keynote talk given by an outstanding female scientist, Professor Lila Kari, University Research Chair at School of Computer Science, University of Waterloo. Lila Kari is Professor and University Research Chair in the School of Computer Science at the University of Waterloo, where she moved from her previously held position in the Department of Computer Science at the University of Western Ontario (1993-2017). She received her M.Sc. in 1987 from the University of Bucharest, Romania, and her Ph.D. in 1991 for her thesis "On Insertions and Deletions in Formal Languages", for which she received the Rolf Nevanlinna doctoral thesis award for the best doctoral thesis in mathematics thesis in Finland. 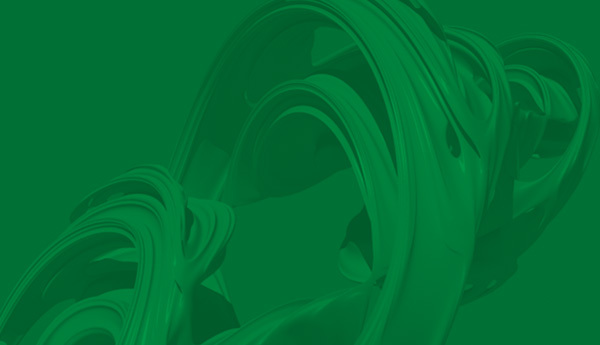 Author of more than 200 peer reviewed articles, Professor Kari is regarded as one of the world's experts in the area of biomolecular computation, that is using biological, chemical and other natural systems to perform computations. In 2015 she received the Rozenberg Tulip Award for the DNA Computer Scientist of the Year, awarded at the 21st International conference on DNA Computing and Molecular Programming, Harvard University, USA . 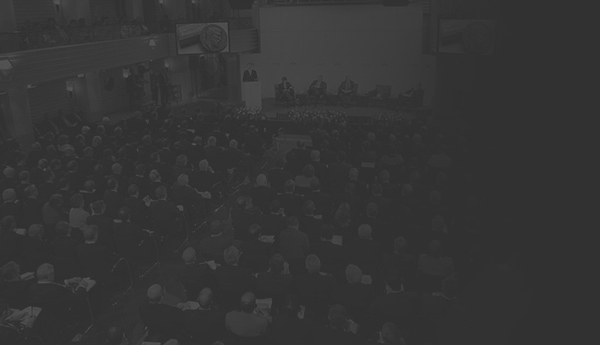 The award is presented by the International Society for Nanoscale Science, Computation and Engineering , ISNSCE, annually and recognizes a prominent scientist who has shown continuous contributions, pioneering, original contributions, and who has influenced the development of the field. The talk will be followed by a moderated panel on emerging research opportunities, diversity, and inclusion. After that, attendees will have an opportunity to meet and network with the keynote speaker and panellists over an informal reception. The event is free and open to the public. However, since we need to know how much food we need to order, all participants are asked to register. Almut Burchard is Professor of Mathematics at the University of Toronto. Her research interests include geometric problems in functional analysis, PDE and probability, symmetrization, sharp inequalities, non-local functionals and network calculus. She is the recepient of the ACM Sigmetrics Best Student Paper Award (with Jörg Liebeherr and joint student Florin Ciucu, 2005), the Alfred P. Sloan Research Fellowship (1999), Sigma Xi Ph.D. Thesis award (1995), and the Studienstiftung des Deutschen Volkes Fellowship (1984-88). Almut received her Ph.D. in Mathematics from the Georgia Institute of Technology and her Diploma (M.S.) in Mathematics from the Universität Heidelberg. Prior to coming to the University of Toronto, she was a researcher at the University of Virginia and Princeton University. Anthony Bonato is Professor in the Department of Mathematics at Ryerson University. His main research interest is graph theory, with applications to real-world complex networks and graph searching games such as Cops and Robbers. He is also an adjunct professor at Dalhousie University, and he is the founding member of the research group Graphs at Ryerson (G@R). Dr. Bonato's research is supported by grants from NSERC and Ryerson, with past grants from Mprime and MITACS. He is the recepient of many awards for his research and graduate supervision. He is the co-Editor-in-Chief of the journal Internet Mathematics, and is on the Editorial Board of Contributions to Discrete Mathematics. Dr. Bonato serves as Chair of the Pure Mathematics section on the NSERC Evaluation Group for Mathematics and Statistics, and has served on the Board of Directors of Mprime and MITACS NCE. He was the inaugural Associate Dean, Students and Programs in the Yeates School of Graduate Studies. Sheila Embleton is Distinguished Research Professor of Linguistics, York University, and a Fellow of the Royal Society of Canada. She served as Vice-President Academic & Provost at York University from 2000 to 2009, having previously been Associate Dean of the Faculty of Arts from 1994 to 2000. She served as Chair of the Ontario Council of Academic Vice-Presidents from 2004-2008 and of the National Vice-Presidents Academic Council from 2006-2007.Her academic background and graduate work is in both mathematics (BSc 1975, MSc 1976, U of Toronto) and linguistics (PhD 1981, U of Toronto), and her areas of scholarly interest are historical linguistics, sociolinguistics, dialectology, mathematical/statistical methods in linguistics, and onomastics; she has published extensively in all of these areas. Her areas of language specialization include English, German, Germanic, French, Romance, Russian, Slavic, Finnish and Finno-Ugric. She is best known for applications of mathematical and statistical methods to linguistic problems broadly, with early work mostly in methods of tree reconstruction for families of related languages. Kathleen Miao is a fourth year undergraduate student studying Financial Mathematics at Ryerson University. She has been researching Copula Theory and Risk Analysis for the completion of an undergraduate thesis. She was the 2016-2017 President of Ryerson Women in Mathematics and Vice-President Social of the Financial Mathematics Course Union. She has participated in Science Rendezvous as well as Science Literacy Week. Her plans for the future include attending graduate school in the fall. Bruno Di Stefano Nuptek Systems Ltd.
Elissa Ross MESH Consultants Inc.